Much as Vespa had used the Cushman Army scooter as inspiration for its original design, Vespa in turn made scooters for Sears and Cushman after World War II. Imported by Morton Colby of Colby General Tire Company, 662 E. Fordham Road, Bronx, New York, the Sears models were 3- and 4-speed 125 cc Vespas rebadged as Sears Allstate Cruiseaires. 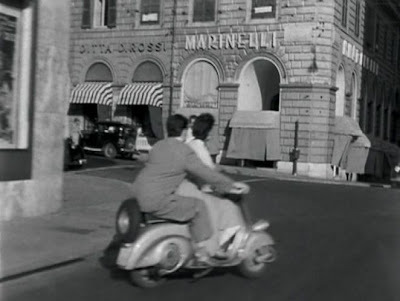 Innocenti also distributed their Lambretta brand via Montgomery Ward's catalogue during this post-WWII period. These were the premier brands of scooters, bringing premium pricing to many, including farmers, whose link to the outside world was via purchases made in these catalogues. Cushman sold rebadged Vespa scooters as Cushmans, but many Cushman dealers refused to market a "foreign" machine. However, collectors prize the Cushman Vespa because it is relatively rare. Bankruptcy of Vespa's American importer due to two expensive product-liability lawsuits, increased competition from Japanese manufacturers, and certain states' passing so-called "green laws" caused a withdrawal from the US market in late 1981. During 1981-2001, despite an absence of United States domestic sales, Vespas continued to have a core group of enthusiasts who kept vintage scooters on the road by rebuilding, restoring, and adding performance-enhancing engine parts as the stock parts would wear out. Vespa returned to the US market in 2001 with a new, more modern style ET series, in 50 cc two and four stroke, and 150 cc four-stroke. According to the Motorcycle Industry Council, U.S. scooter sales increased fivefold over six years, swelling from 12,000 units in 1997 to 69,000 units in 2002. 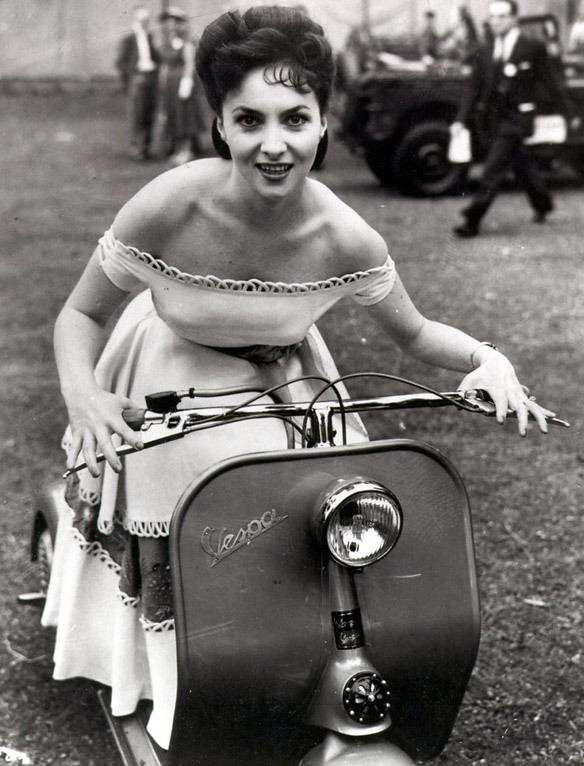 Vespa sales in the U.S. increased 27 percent between 2001 and 2002. The 65 "Vespa Boutiques" scattered throughout the U.S. gave scooterists a place to buy, service, and customize Vespa scooters, and outfit themselves in everything from Vespa watches and helmets to Vespa jackets, T-shirts, and sunglasses. 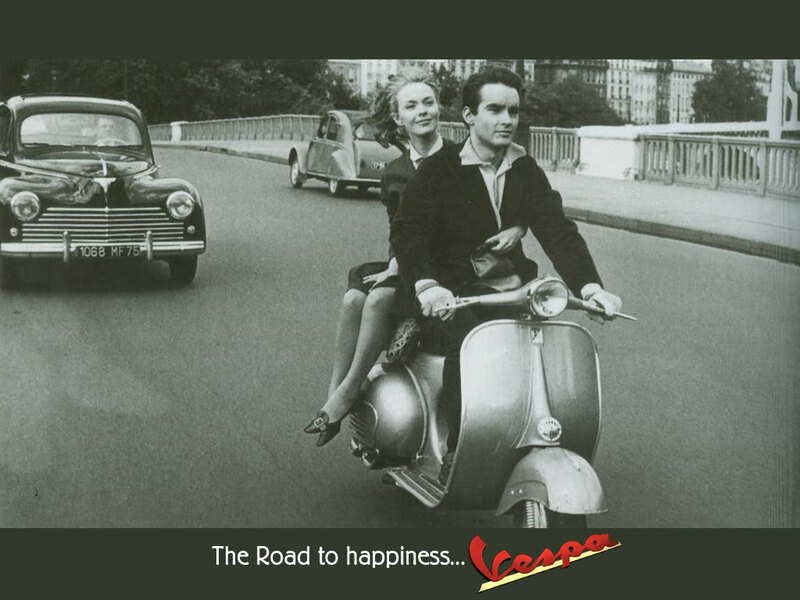 Vespa restarted its American sales effort, opening its first boutique on Ventura Boulevard in Sherman Oaks, Calif. In light of vastly-increasing US sales, Vespa developed the GT, offered as a 200 cc four-stroke and a 125 cc variant in Europe. In 2004 Vespa reintroduced a modernized PX 150 to the US. In the fall of 2005, Piaggio offered their largest-selling Vespa scooter ever, the 250 cc-engined GTS250, available in Europe with ABS.